To build a competitive environment, the first step is to understand the current team culture. Here are a few questions to consider: What motivates this group of athletes? What three to five words most accurately describe this team? When presented with a challenge, how do they respond? What are our values as a team? Building a team involves developing a plan and working to execute it. Your practice plans are one of main ingredients in that blueprint. Practices have many components, and they will vary based on the coach’s or program’s philosophies. 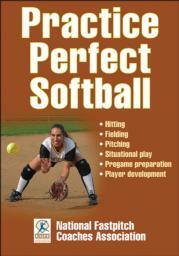 Add Practice Perfect Softball to your dugout and begin your journey to a championship season. The National Fastpitch Coaches Association (NFCA) has put together an all-star lineup of coaches, including Connie Clark, Jo Evans, Rachel Lawson, Ken Eriksen, Donna Papa, Julie Lenhart, Lonni Alameda, Dot Richardson, and Beverly Smith.